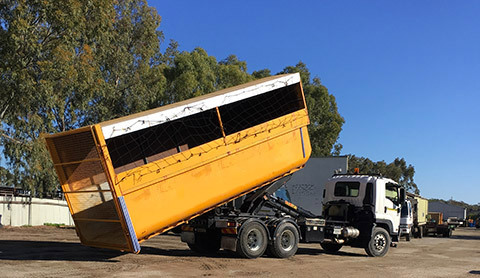 We responsibly collect bulk bins and bales from the major supermarkets in Perth metro area, and deliver them to recycling companies in Perth. 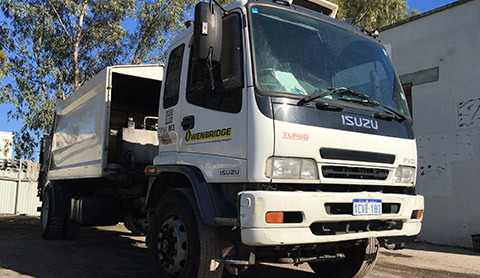 Our experienced drivers and safety equipped vehicles provide quality of services to our valued customers, and satisfy them with our competitive prices and services. 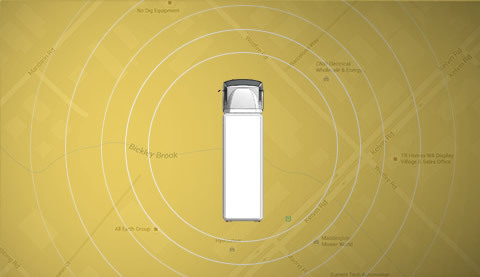 Our trucks are fitted with the latest MTData tracking devices. The tracking technology enables us to control and predict the way we deliver our services to our customers. Our interactive devices also allows us to facilitate a safe and practicable way to provide data to our clients, when information is requested. Live remote engine data (CANbus) information is also utilised in our fleet. Owenbridge prides itself on being up to date with the latest technology in tracking, and strive to make every advances in this technology beneficial to our clients. The trucks in in our fleet encompass units with Euro 5 emission standards (ADR80/03). Our objective is to capture every possible means, in lowering emissions in our fleet. We are well informed of new technological advances in engine emission controls, which we actively seek out. Our next planned rotation of trucks will be equipped with Euro 6 standard emission engines. This standard will be the highest available in Australia. Owenbridge considers emission standards to be on par with recycling standards, and strive to be a leader on both. We provide a Free public bin on our lot for Cardboard. Any member of the public is welcomed to recycle their cardboard waste. We provide this service to encourage recycling enthusiasm and to know that their waste is destined to be recycled. The bin is located at 36 Austin Avenue, and can be accessed between 7am to 5pm, Monday to Friday, and 7am to 12pm, Saturdays.